Drumlanrig's Tower was latterly incorporated in the Tower Hotel building, where people like Dorothy Wordsworth and Sir Walter Scott stayed. It was later converted into a visitor centre, currently named the Border Textile Towerhouse. The tower and heritage centre is open to th epublic. For up-to-date information on opening times, visit the centre's website. The leader of the Covenanters involved was Thomas Turnbull of Standhill.Also involved was Thomas Turnbull of Knowe; George Dun of Pielhill; Robert Scott, Younger of Hassendean; Walter Turnbull of Bewlie; W. Patterson, heritor in Hawick; Ralph Davidon of Greenhouse; Andrew Young of Caverton; John Scott of Weens; Robert Ker of Priestoun; George Hume of Graden; James Turnbull of Swanshiel and Alexander Hume of that Ilk. 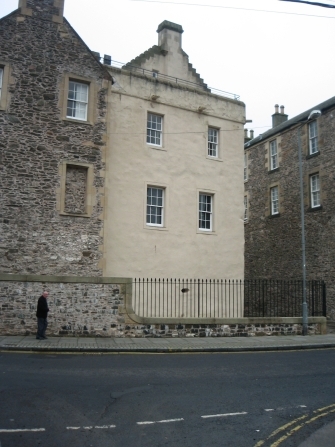 Andrew Hume of that Ilk was captured after going into hiding and was hanged in Edinburgh on 29 December 1682.